As highlighted in past commemoration posts, African women in cinema often use the visual media as a tool for awareness building as it relates to matters that touch their societies and burning issues that effect Africa. 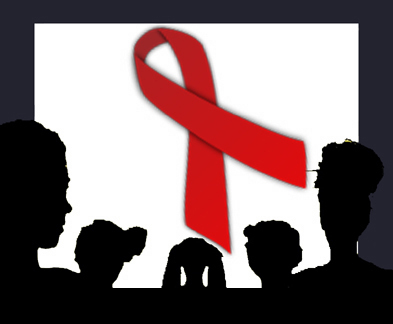 In this regard the initiative Scenarios from Africa had as objective to give young people a unique occasion to learn more about HIV/AIDS. The 2011 edition demonstrated the extent that African girls and young adults seized this opportunity to tell these stories. Among the 25 frontrunners 17 were girls/young women--the youngest 12 years old. Furthermore, among the awardees of the three grand prizes two were young women. Burkinabé Fanta Nacro has played an important role in the above initiative, as prominent African cineastes adapted films using these scenarios: A Call to Action, A Love Story, A Ring on Her Finger, The Champion, Iron Will, Peace of Mind, Never Alone, The Reasons for a Smile, Tiger Tigress. Also from the Series, Cameroonian Kidi Bebey’s Looking for a Brave Man explored relationships in the age of AIDS. A young woman seeking a serious relationship demands that her partner act responsibly which entails taking the AIDS test. Fanta Nacro’s filmography also includes the 1998 short film, Le Truc de Konate (Konate's Thing). The comedy employed as a means of consciousness-raising proved very popular with the Burkinabé public, intermingling an established distrust of new concepts and old-fashioned masculine virility and honour with female consciousness. With a more solemn tone, Tsitsi Dangarembga of Zimbabwe relays the tragic costs of AIDS in Everyone's Child, directed in 1995. The film focuses on the devastating consequences for the children who are left to fend for themselves after the AIDS-related death of parents. On a joyful note, in Zambian Musola Kaseketi's film Suwi, the young Bupe finds a happy home, while Tanzanian Beatrix Mugishagwe’s Tumaini tells a story of hope. Kenyan Wajuhi Kamau, of the Film Production Department of the Educational Media Service of the Minister of Education, emphasises the effectiveness of video as a means of educating people about a range of issues, from AIDS to family planning. Using both the documentary and drama presentations, the objective of the agency is to allow people to see themselves reflected in the images. "When you see yourself, you see your situation, then it is easy to remember and change attitudes and behaviour." Zimbabwean Prudence Uriri has also focused on issues related to AIDS and health in general. The Unesco-commissioned Madizela and Samora (2003), and Life (2002) produced by Rooftop Promotions, are two AIDS-focused films directed by Uriri. She sees her role as a filmmaker to open a dialogue regarding the problems that people face, and in so doing they may be better informed.